It promises to be an exciting year for the renewable industry and DPA Solar is excited to announce that we are expanding our range of lithium storage options. In addition to the range of batteries from SimpliPhi, Outback, Victron and BYD, we will be stocking and distributing Lithium Ferro Phosphate LFP batteries from PowerPlus Energy and Discover Battery AES. DPA Solar continues our focus on LFP technology over other lithium chemistries as we believe this is safest choice and the availability of the raw materials will make LFP the most cost-effective lithium chemistry in the longer term. The addition of these products to our range, means we will have a solution to suit all of your customers’ performance, installation and budget needs. 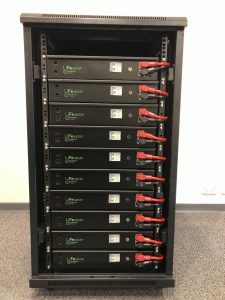 PowerPlus (3.3) offers the speed advantage of pre-wired wall mount (3 modules) and rack solutions (IP21: 8, 10, 12, 18, 20 and IP55: 16 modules), local manufacture and the simplicity of an self-managed battery. 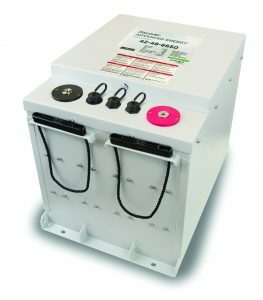 For high power applications such as generation management, cloud smoothing and UPS, the Discover Advanced Energy AES battery’s (6.6) robust construction, surge capability of 300A for 3 sec (and 130A continuous) and ability of operating in both managed and self-managed modes, makes it hard to beat. To learn more visit our website and contact us on sales@dpasolar.com.au or +61 (0)3 9696 1119.